We are excited to announce the 12 winners of the 'Diversity in STEM' competition that took place between 24 September and 30 November 2018. The STEM Alliance received 143 submissions from teachers in the two competition categories: Activities and STEM resources (95 in the STEM activities category and 48 in the STEM resources category) . Thank you to all the teachers that organised activities and/or created resources in order to raise awareness and bring diversity in their classroom! Find below the list of the winners for both categories and their inspiring work! Ataturk Vocational and Technical High School, Turkey. Name: "More Coding More Girls"
Description: The target group of this project was 20 female students between 15 and 18 years old and 1000 participants registered of Atatürk Vocational and Technical Anatolian High School in Altındağ, Ankara. The workshop took place at the Coding Lab of the school. Students learned coding with BBC: Microbit run by their teacher. The workshop lasted 3 hours and students participated in 8 different projects in 2 days. Later on the students organised an exhibition. After the exhibition, the participants organised a conference about the importance of coding in collaboration with Microsoft and Hacettepe University Life Long Learning Center. Female students explained their projects to more than 1000 students of the school. After that, a coding and career presentation was made to 250 students participants. The presentation was made by İsmet BENLİ, the Microsoft instructor. Name: "Money and Mathematics make the financial world goes around"
Description: During the event students explored the connection between Mathematics and finance and they explored financial notions and concepts. During the activities, participants celebrated The World Saving Day and visited a bank, where students had the opportunity to talk with professionals. The final activities were exploring possibilities of connecting STEM-based education and jobs in finance. Finally, there were activities dedicated to the position of women in the world of finance. 1st Primary School of Hermoupolis, Greece. Name: "STEM Yes, Stereotypes No"
Description: This activity involved a class of 24 8-year-old students. They invited two female STEM professionals in the classroom. The first one was Mrs. Frangiska Miliou, a chemist that works at the General Chemical State Laboratory of Greece, at the department of Syros. Mrs. Miliou organised a workshop on stain removal from clothes using everyday materials for the boys in our class because in Greece washing the clothes is supposed to be a female duty. After the boys learned how to remove the stains from their clothes, and organised a workshop for the girls of our class. A few days later a second workshop took place. Mrs. Anna Gardeli, a PhD candidate in the University of the Aegean on computational thinking, for a coding workshop was invited. Mrs. Gardeli organised a workshop using the famous board game UNO to familiarise the girls in our class with coding because in Greece ICT is supposed to be mainly a male job. Following the workshop, the girls learned how to make simple coding programs and helped their male classmates with coding tasks (https://codeweek.eu/view/181924/coding-yes-stereotypes-no). High school "Zhani Ciko", Albania. Name: "STEM Coding & We for future generations"
Description: This event aimed to engage children in STEM and coding activities in a playful way and useful for their future careers. Moreover, the event supported young people to develop critical thinking, creativity, digital and collaborative skills, and science capital. During CODE WEEK a number of activities were organised in collaboration with the European Union Group, in Patos municipality. One of the activities was the classroom visit to an industry in order to discuss about coding. This project directly addressed high school students, employed adults, unemployed adults, patents and the rest of the community. 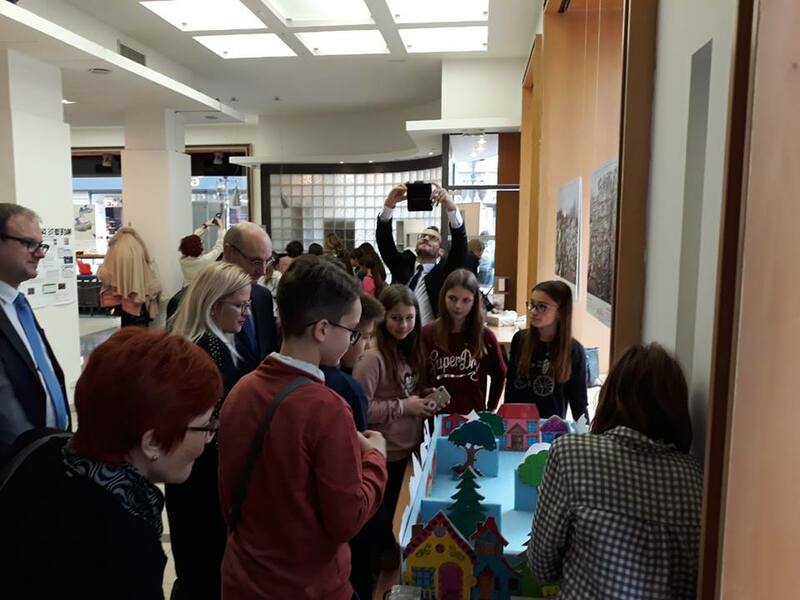 Additionally, in cooperation with Elda Goxha as the leader of the EU group in the municipality of Patos, the Coding & We event was organised, where children's communities presented different programming concepts. The aim was the development competences such as computer thinking, problem solving, and increased creativity and teamwork - very good skills in all spheres of life. Secretariat for Catholic Education, Malta. Description: The activity was conducted in collaboration with aero engineer Rosa Alvaros-Warren in Washington who has more than five years' experience working for NASA's International Space Station (ISS) program as a Mechanical and Operations, Systems, Topology and Passive Thermal Control Systems (PTCS) Engineer, and Payload Integration Manager. Rosa is responsible for sustaining mechanisms and preparing hardware components to be launched into orbit. She also monitors and analyzes mechanisms aboard the ISS. Description: As part of this activity, three events were conducted: a STEM career workshops, a short bridge building project and an event on biology dissection. As part of the STEM career workshops, a range of STEM professionals created mini workshops which reflected an aspect of their job. To ensure inclusion, the workshops and materials were pitched for a mixed ability range of pupils. The day was organised ensuring that disabled pupils had full access to the materials and the workshops. At the workshops pupils took part in an activity and had the opportunity to ask about the job the presenter is displaying. They found out how they can apply for these jobs through apprenticeships, universities and working for the companies. More than half of the presenters were female and at most workshops reference was made to the career being open to all. As part of our school's enrichment programme for S1, the Maths department raise the awareness of STEM careers through the delivery of a short bridge building project. Over the course of 5 lessons/weeks, pupils learn about civil engineering, and specifically the different types of bridges civil engineers construct, and then work in teams to design and build a bridge to meet specific criteria using only lollipop sticks, card, string and cable ties. Materials designed with support from the Institute of Civil Engineers. Liceul Teoretic Constantin Serban Alesd, Romania. Name: "How we choose a job"
Description: Local company representatives from a variety of areas (electricity, health, cenemt etc.) were invited to the school to discuss careers with the students. (Holcim SA, Regional Hospital from Alesd, Regional Tribunal, Regional Department of the Electrica SA, RCS-RDS). They were invited to workshops to explain to students about their jobs and what kind of careers can be offered to youth in their organisation as well as what are the needed qualifications. Following this, students visited the Local Office of National Agency for Employments were they were explained how to present in a job interview, how to create a good CV and motivation letter etc. After this, students visited the website http://thevoyage.eu/ where they discovered job profiles such as: nurse, doctor, automotive operator, sales, manager, and more. Finally, students had to approach a person that works in one of the aforementioned fields and prepare an interview with them. At the end, students explored websites with job announcements such as Linkedin, eJobs, etc. Technical School 15th May, Serbia. 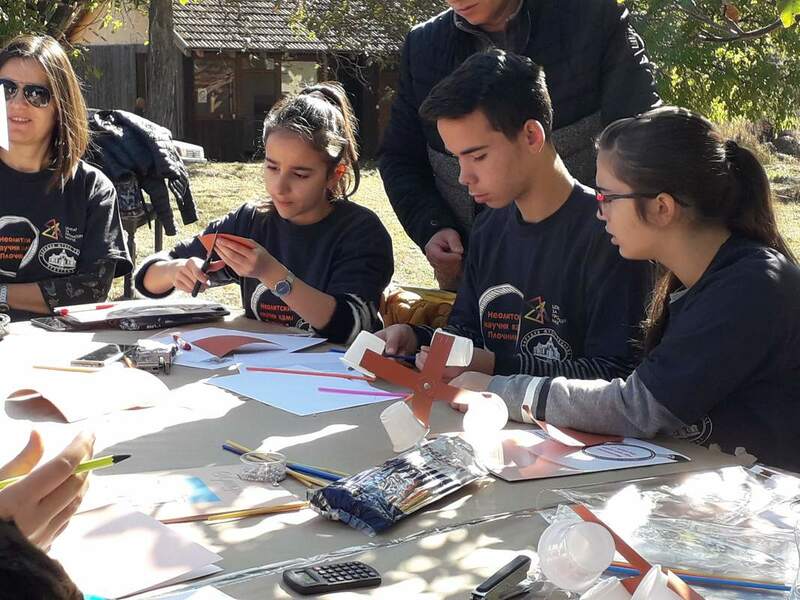 Name: "Neolithic Science Camp in Plocnik 2"
Description: The idea of the project is aimed at exploring the climate change from the Neolithic period to the present day, and the phenomenon from the viewpoint of archaeologists, biologists, geographers and mathematicians. After one year of work, the project introduced new topics such as climate and air and wind and humidity. The first workshop involved about 30 participants, students from elementary and secondary school levels, teachers, archaeologists, and museum staff. During the activity, teachers presented methods of calculating wind speed and an archeologist of the National Museum Toplice talked about the importance of the archaeological causeway. A presentation was given on climate change from the Neolithic period to the present day. After that, students were divided into two groups and created anemometers. The second part of the activities was held at the premises of the National Museum Toplice and was focused on humidity. It was attended by 60 students from elementary and high school level, teachers, one archaeologist, historians, museum curators and biologists. Participants explored the definition of humidity and its impact on health. Finally, students used a device LabQuest2 and sensors in order to measure the air humidity in different rooms of the museum, as well as at the front of the building. 4th Primary School of Artemida, Greece. Name: "Women in Physics from Marie Curie's time to present day"
Description: The resource is an educational video presenting 30 eminent women physicists from Marie Curie's time to modern times. The aim is to break down gender stereotypes and bias against women in science. Those biases have calcified the idea that the inequities that surround us are rooted in our biology rather than our society. Special emphasis is placed on injustice which some female scientists have been subjected to, for example, Lise Meitner, Rosalind Franklin, Jocelyn Bell Burnell, etc. The information presented in the video was gathered by the students who also painted the portraits of 8 women from the above-mentioned physicists. Name: "WISH - Women In Science Here&now!" Description: This resource is a Scenario for 3 lessons that last 150 minutes. The resource aims to raise students' (especially girls') interest in STEM careers and develop their: 1) information, Media and Technology Skills, 2) 4Cs- creativity, critical thinking, communication and collaboration, 3) social & Cross-Cultural Skills, 4) Leadership & Responsibility. Petra Preradovica School, Zadar, Croatia. Name: "Diversity in STEM Careers"
Description: Throughout the month of October, the children were given tasks to research, collaborate and produce materials related to the learning resource and guidelines provided by their Mathematics and Geography teachers. Primary school Petar Musev, Former Yugoslav Republic of Macedonia. Name: "By studying Mathematics to a profession"
Description: The video presents Mathematics as a way to solve problems from given professions.